Crowd fund a documentary to live a prettier life! Criticize today, learn from the past, and live a prettier life! How? Marianne van Dijk is going back to the cave to find prehistoric habits we could use in the world we* are living in. After a trial session of 100 days, the project ‘What About Wilma’ gets an sequel. And she needs you to survive! It’s important to question what your own society teaches you. You can have a different look at yourself by travelling. By meeting new people. Or by realizing your habits are mostly culturally defined and learned. Marianne explores some of the -assumed- habits of early homo sapiens to find out what we can learn from them. And how we can use them in the 21st century. You do not need Facebook to like the idea. Marianne will share her experience in a blog and finally summarize it in a book and a documentary. So you can read and see which habits could be beneficial for your health, mind, your happiness or the environment. As I am curious but do not want to waste too much time online to follow the project, I support the project with a donation. You could blame this girl to be a romantic, media and Fred hungry city girl with inconsistent elaboration of principles. Saving people from excessive use of online media, while using the same media to convey the message, is obviously a bit contradictory. I assume a project like this will ad to the development of thinking about your way of living. But likely only people that already thought about the side effects of their habits will be strengthened in their vision. It’s like the SIRE (foundation for idealistic advertising) advertisements in the Netherlands. Research proved they hardly reach their target group. But they strengthen the opinion of those who are already engaged with the issues addressed. But let’s put this project in perspective. I think the project is indirectly a frequently heard critique to consumer culture and marketing that tempt us* to buy things we do not really need and live a life we might not love. A critique on the Western life *we are told to be the standard. And social platforms help to celebrate the bright side of life as the standard to live. We do not alwyas feel well with welfare. But except from critisizing ‘now’, Marianne is trying to learn from the past to live a prettier life! Why would you not just look at the positive sides of an era to use today? Life is not black or white. Why not fall over words like ‘philosophic experiment’ or ‘cave life’. The few times I met Marianne I was touched by her enthusiasm and guts to give the career world that surrounds her in Amsterdam the middle finger. This is the most inspirational bit I can learn from her: have the guts to leave your comfort zone, practice and experiment with what -you think- will enrich your life. And sure she has her moments on this personal road! But she enjoys the ride while falling and standing up. We can learn from her ride and the times she stood up after falling. I will never walk the streets without shoes or ditch my bicycle. But awareness on the benefits of online or paleo diet, quitting use of soap or waste reduction are interesting to me. Looking forward to the book and the documentary. What about you? To find more information on the What About Wilma project, visit the What About Wilma website. To get the book and documentary on the road, make a donation on the What About Wilma crowd funding project website and select one of the creative perks Wilma put on the cave shelf for your contribution. * I write this as a Dutch citizen of the Dutch system, ‘we’ or ‘us’ does not exist. My love for music, graphic design, photography and vintage audio come together in the beautiful Kai Schaefer Record series. 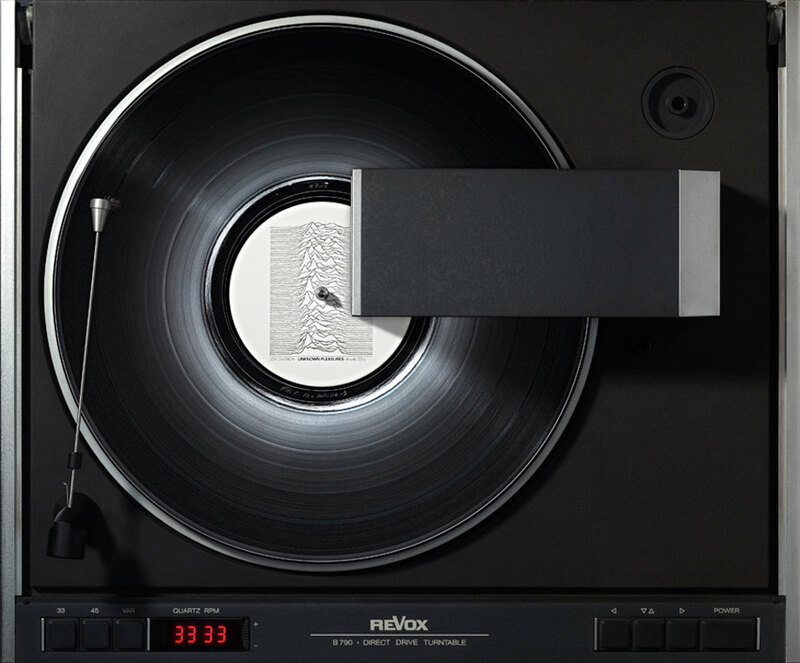 Schaefer isn’t a collector of vinyl or of turntables but works with collectors who allow him to borrow their rotating jewels to make the images. Enjoy the Kai Schaefer world record series. This contemporary art center contains a brilliant permanent collection, as well as interesting temporary exhibitions. 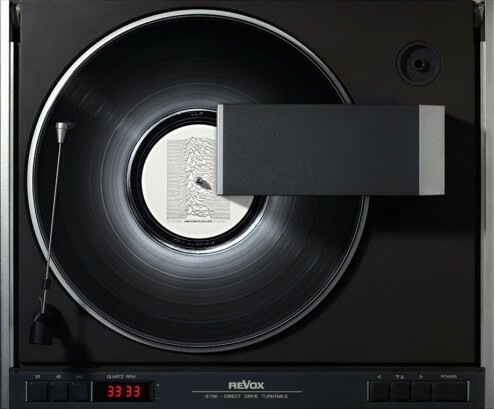 The whole history of photography is represent. Not only in pictures. Also the technology time line is represent with the photography tools from the past. Even the building complex is worth visiting alone. The main part of the museum is built in an abandoned reconditioned Carmelite convent. The new modern contrasting wing is connected through a glazed corridor. 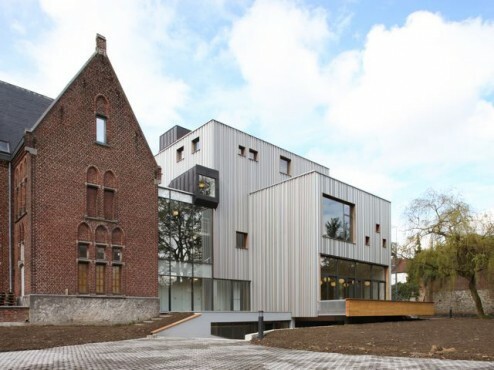 The extension occupies the orchard of the former Carmelite convent and is attached to the surrounding public park. A park with huge canvas enlargements. Interested in visiting or in actual expositions? Check out the Charleroi Photo Museum website. Interested in the architecture of the new part of the museum? Check out the website of the designer of the facade Jeanine Cohen and the architect firm L’Escaut in charge of the project. 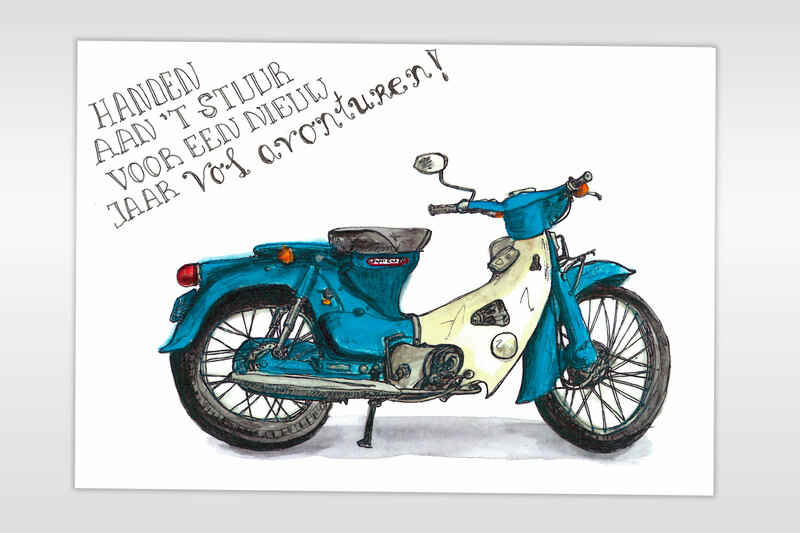 My college Sanne Koekenbier, daily sketcher, water color painter and graphic designer, surprised me with this excellent hand drawn birthday post card I like to share. It is without doubt my own restored Super Cub! Sanne’s Art Journal like work is inspired by Danny Gregory. The text on the card reads “Hold on tight for a new year full of adventures”. Thank you Sanne! This one hit the nail. It’s suddenly on. 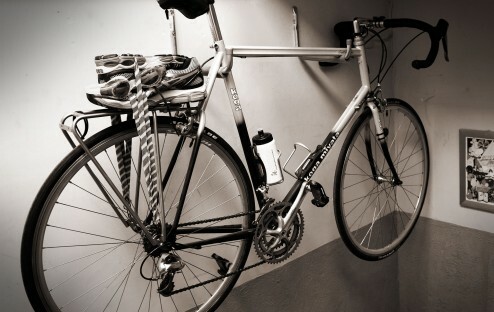 Time to search my swimming goggles, to buy a cheap wetsuit at a famous German supermarket chain, to get my old trusty steel road bike from the wall, to pack my shoes and to go north. Months ago, a good friend asked me to participate in a quarter triathlon on the island of Texel. After registration, I received an e-mail the maximum number of participants was reached. The triathlon was thereby disappeared from my mind. As well as the preparation. Being a number on the reserve list I suddenly became a starting number! Two weeks before the start a proper training schedule was by no chance realistic. For someone who is generally well prepared, this is actually quite relaxed: no time to think too much, just do it. I wonder how this weekend my body will respond to an exercise blend I have never tried before: successively one kilometre swimming, 40km cycling and 10km running. I’ve never been on the island so whatever happens, I will entertain myself. If you have any experience in triathlons, I will be glad if you share your top three tips to survive the mix as a triatlon rookie. On Sunday, more than 45 unique buildings open their doors. 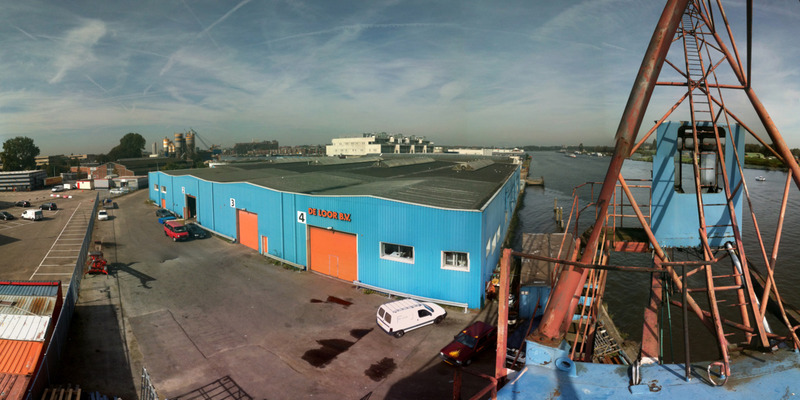 The Day of Architecture Amsterdam shows you a different side of the city! Discover places you did not know and experience views that you could not imagine. Last week I attended an IAA meeting on Crowd Funding and Innovation. One of the lecturers was ‘Voordekunst’ (English: ‘for the Art’) initiator Roy Cremers. His sympathetic project as well as the concept of crowd funding are not new at all, but Voordekunst -started September 2010- deserves to get some fresh attention. With Voordekunst.nl you can support artists and arts organizations to realize their projects. Sign up at Voordekunst, fund and enjoy the art projects you like. 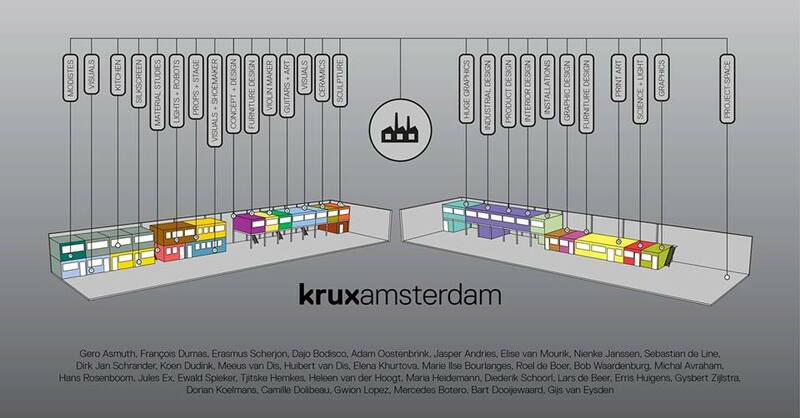 Initiated by four young designers, Krux is an workspace on the banks of the Rijnkanaal in the city of Amsterdam. It’s attached to workspace 5, were I and some friends share our space to relax and create. 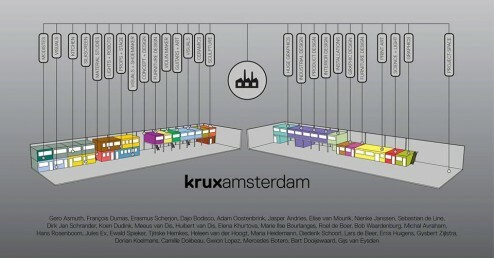 Krux invites you to join their celebration of one year Krux Amsterdam. Come to see the shared workspace and visit all the studios. Works of all artists of the Krux are exhibited in the vacant hall next door. Live music is on the programme, for example my skilled neigbour Maria Milstein on the violin. From 21:00 on wards, it’s party time. The doors will open at 19:00 and the first band starts at 20:00. Admission is just 3 Euros. Are you ready for a photography adventure in Naarden? The Naarden photography festival provides a platform for new international talent and focuses on narrative photography. The festival consists largely of photographic work that has never been shown somewhere before. Exhibitions and activities take place on and around the ancient fortress of Naarden until the 23rd of June. I went to Naarden last weekend and enjoyed the different photography exhibitions spaces. Some spaces really added mood and power to the displayed photography. Visit Naarden and find out why! This weekend it’s on! Especially for the Amsterdam 2013 celebrations, four editions of Amsterdam Heritage Days will take place. Together these events will bring to life 400 years of the city’s rich history by sharing the secrets of Amsterdam’s changing architecture and lifestyles. If it’s too good to be true, it usually is too good. Not next Thursday! Pop temple Paradiso is selling out without becoming cheap!